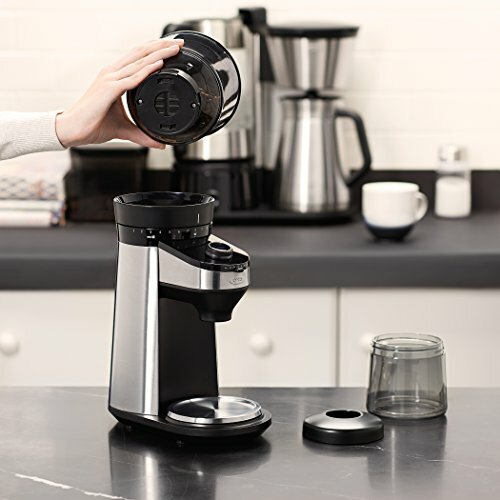 No matter how fancy your coffee maker is, there is no way you’re going to unlock its full potential without perfectly ground coffee; this is why you need a good grinder! And at a price of $200, Oxo makes one of the best in the game. 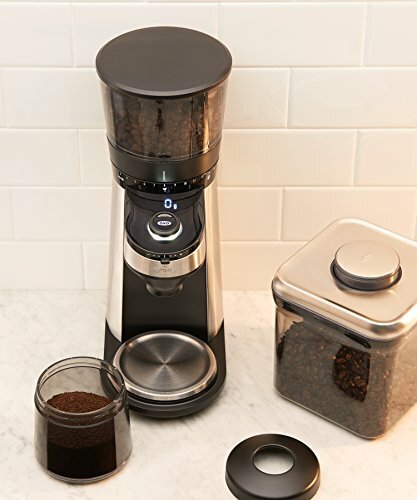 This OXO On Conical Burr Coffee Grinder comes with stainless steel 40mm burrs that can achieve the fineness needed for espresso or the coarseness for French press. It also allows you to grind by weight thanks to the integrated scale, and does so based on the number of cups you want to brew. Bean hopper capacity of 12oz. Integrated scale for precision measurement. No-bean detector to prevent grinding while hopper is empty. UV-blocking tint on bean container. Compact dimensions of 9.2 x 5.4 x 14.3 inches. Trap door to hold beans when hopper is removed. No mess when removing grounds. Ability to grind according to a customized ratio. Hopper holds enough beans for 12 cups of coffee. Grounds cling to the plastic collection cup due to static. The OXO On Conical Burr Coffee Grinder with Integrated Scale can be purchased on Amazon for $198.99. $200 may seem a bit steep for a mere grinder, but the end results completely justify the price. 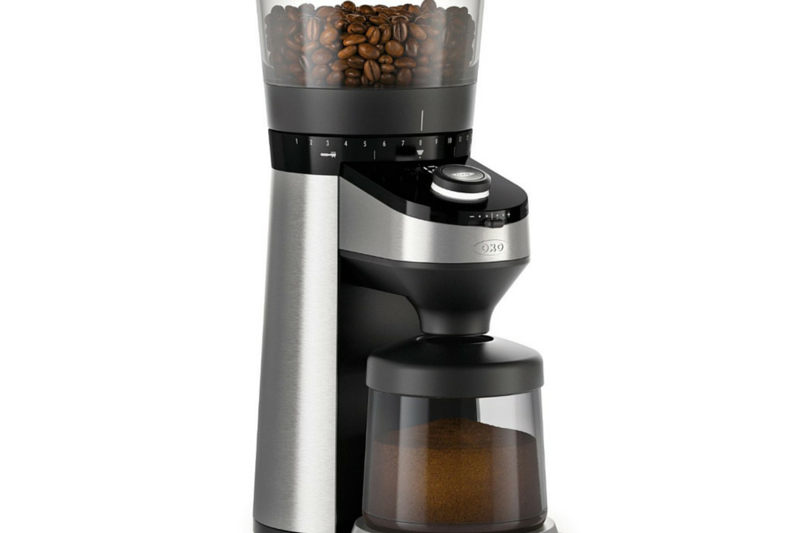 Like most of Oxo’s products, this burr grinder is absolutely stunning and will make a great addition to any kitchen. The ability to grind according to weight will impress all the aficionados, and the fact that you can customize it to your individual preferences is a brilliant touch. When it comes to grinders, it’s best to close your eyes, apologize to your wallet, splurge on an exceptional one, and then forget about it. And this offering by Oxo is as good as it gets. 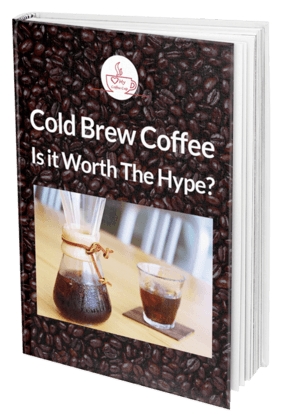 Will Virtual Reality Coffee Shops Soon Be a Thing? Can You Still Drink Coffee While on a Diet?